Remember those La Belle ampoules earlier? 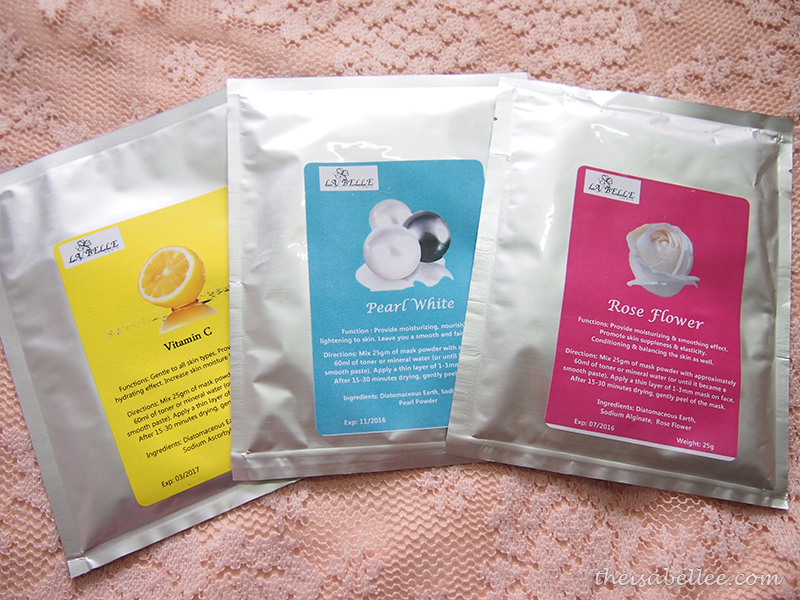 I will be reviewing the Rose Flower Powder Mask from the same shop - De Beaute. 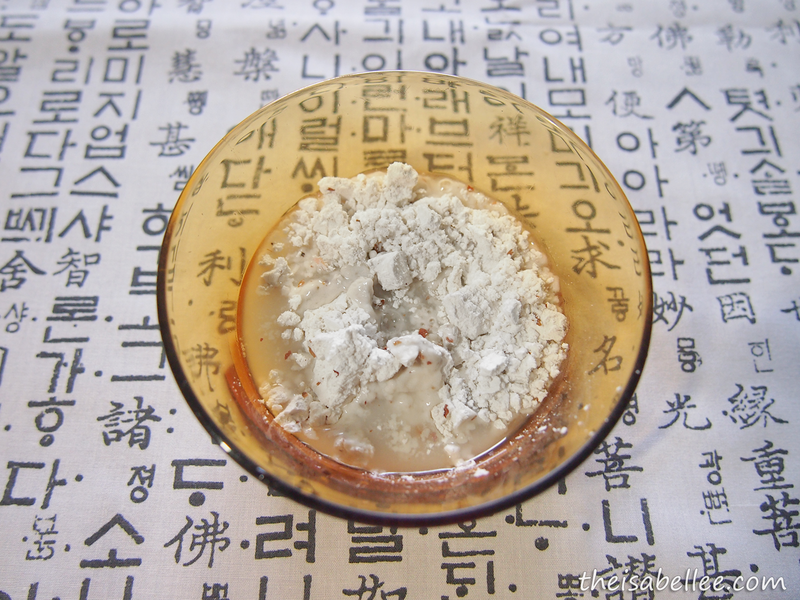 It's meant to give a moisturizing and smoothing effect. 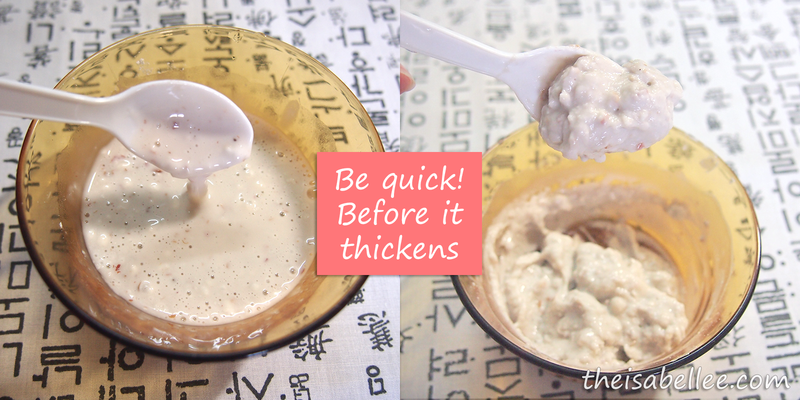 Mix the powder with the water slowly until it becomes a smooth paste. 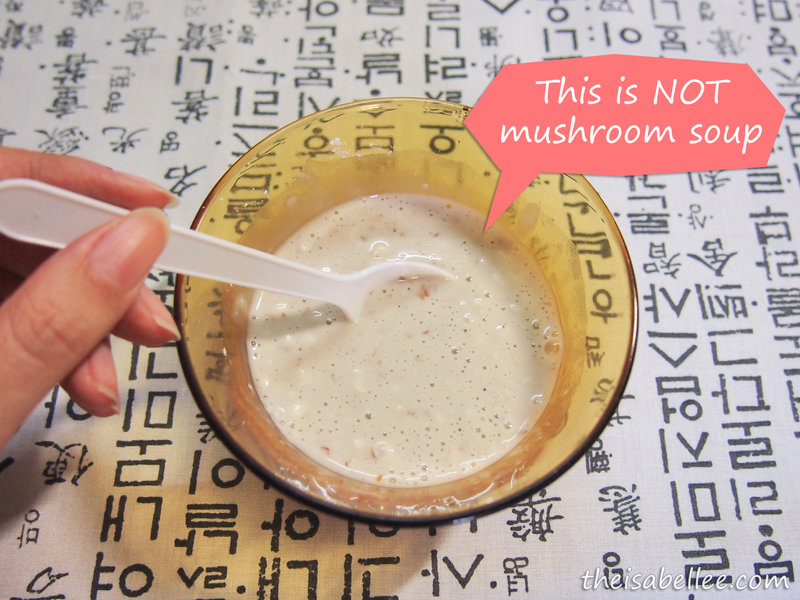 Honestly, it really does look like mushroom soup xD At this point it was too watery. If you encounter the same thing, just let it sit for 10 seconds. From there, be really quick and apply it on your face! It will thicken and turn into this oat-like mixture (too dry already). 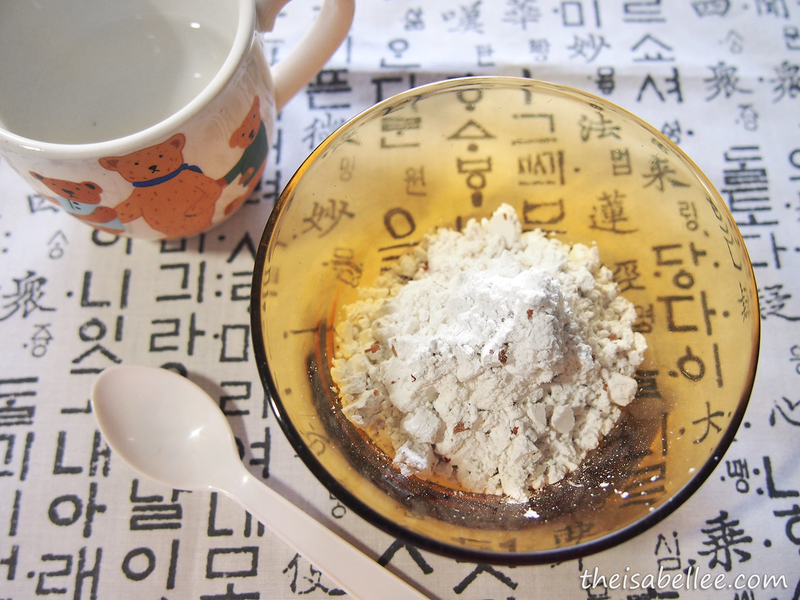 Apply the WHOLE bowl evenly on face to 3mm thick or more. It's gonna look really thick and lumpy. I didn't detect any strong scents. Leave on for 15-30 minutes (make sure it's not too dry). I applied unevenly so some parts - where it's white and cracked - were much drier than the rest. I suggest you to apply nearer to 3mm thick as the thin parts were really dry while the thick portions (cheeks) were just right. 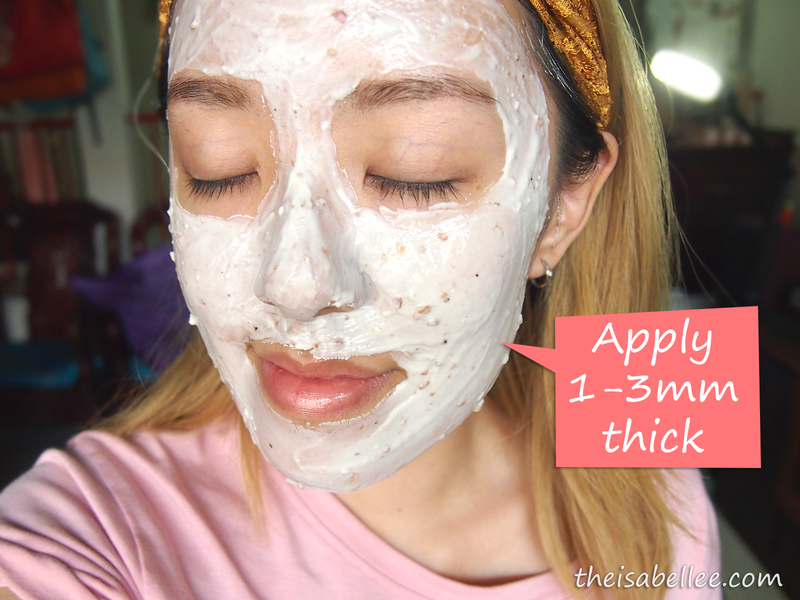 If you apply it thick enough, the mask will peel off in sheets. Take note this is the proper way to apply the mask. 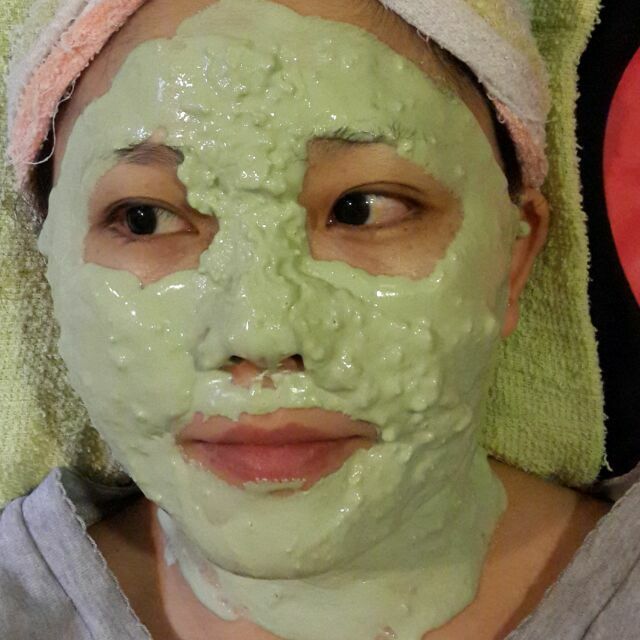 This is Karen, owner of De Beaute wearing Aloe Vera Powder Mask. 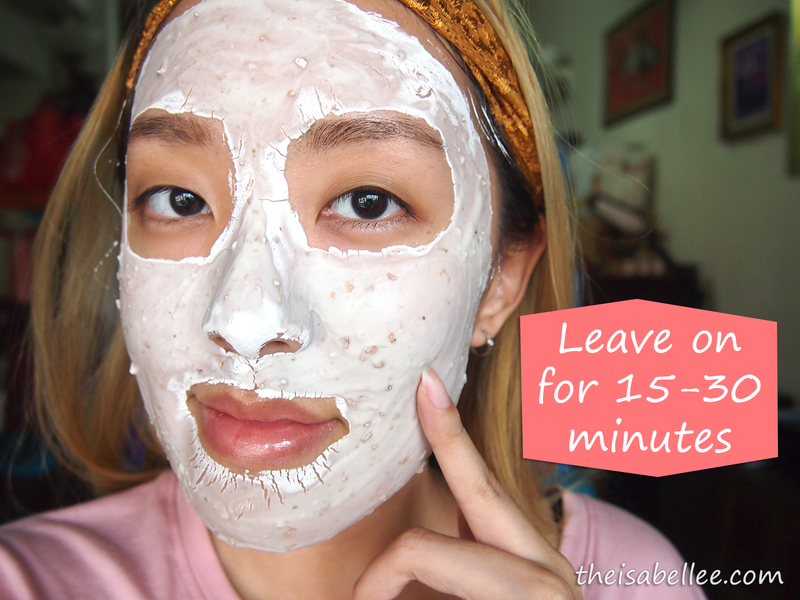 When I was nearing the end of the 15 minutes, I felt a slight burning sensation all over. 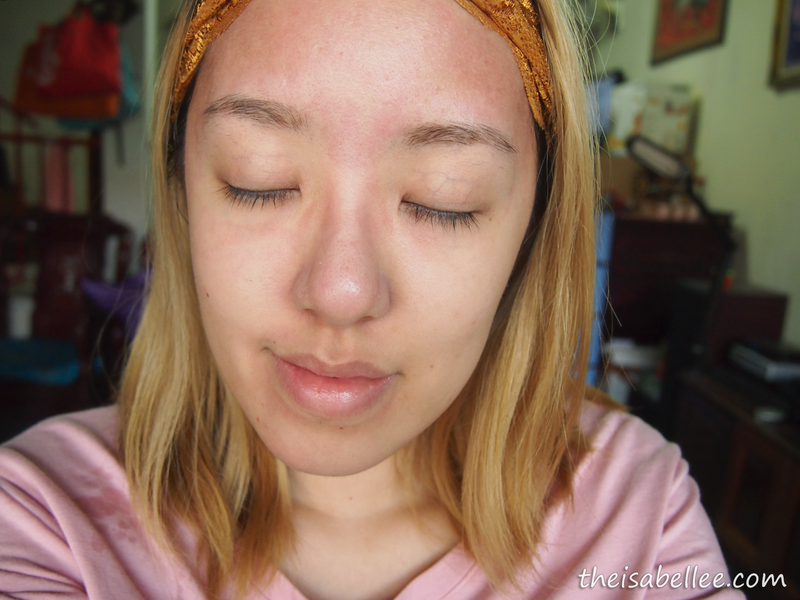 My skin sensitivity was confirmed upon seeing this redness after washing my face. The redness only lasted half an hour though. 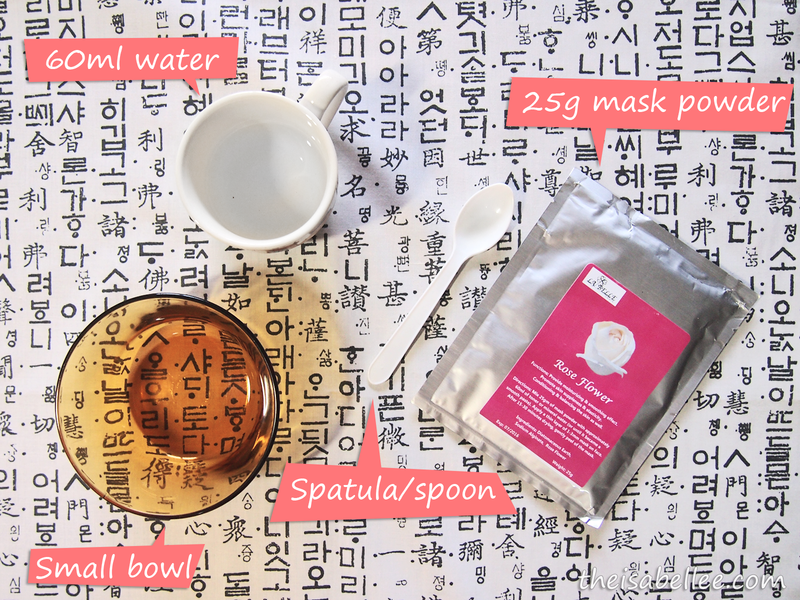 However, my face was super smooth as promised and somehow my clogged pores & blackheads were easier to extract. I Googled a bit and couldn't find another blogger who got this redness. Maybe my skin hasn't fully healed? FYI, I got sensitive bumps all over about a month ago which last 2 weeks. So if you're currently experiencing sensitive skin, do not use this mask.